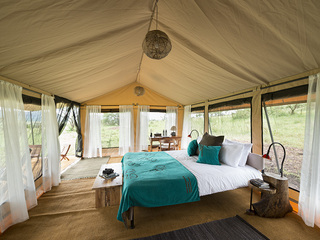 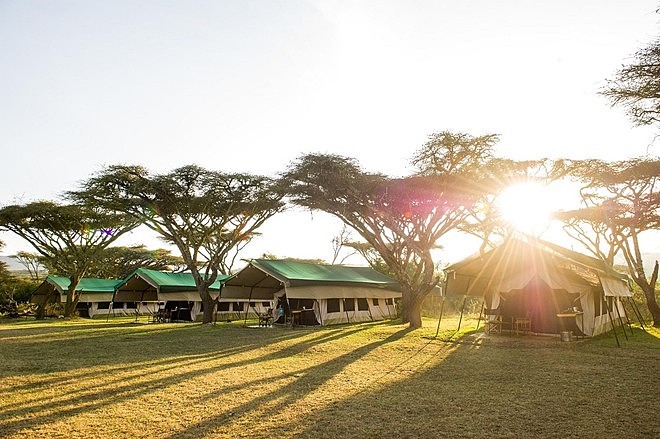 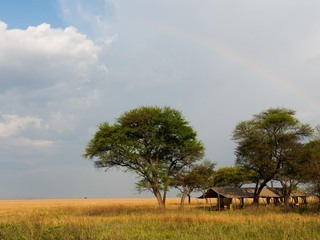 The Sanctuary Serengeti Migration Camp is a charming mobile camp which moves between three different locations to follow the migration as it travels across the Serengeti National Park, Northern Tanzania. 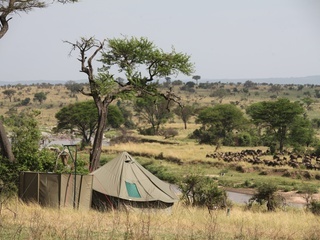 Depending on exact migration movements, the camp is set up in the Western Serengeti from April to July, the Northern Serengeti from August to November and the Southern Serengeti from December to March. 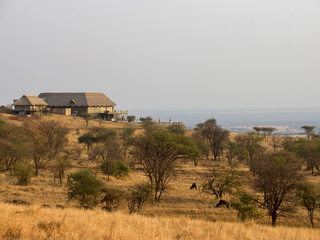 There is a rich abundance of wildlife to enjoy from wildebeest, zebra and gazelle to lion, hyena, cheetah and leopard, and the predator versus prey action is spectacular. 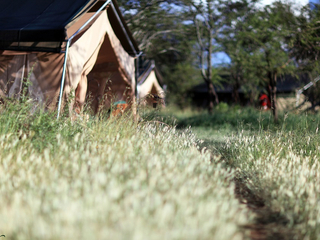 Elephants are particularly fond of coming close to the camp, a delight to behold! 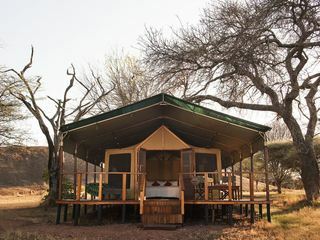 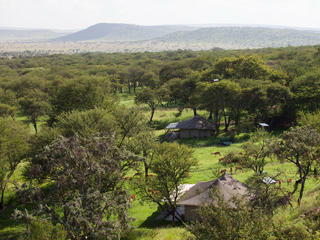 Accessible via light aircraft, the camp’s various locations are truly wild. 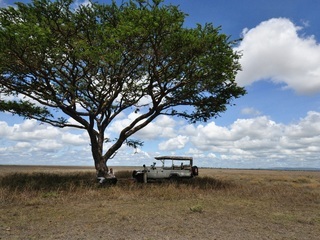 Note that it’s important to pack wisely, there is a 15kg limit for light aircraft luggage in one soft bag. 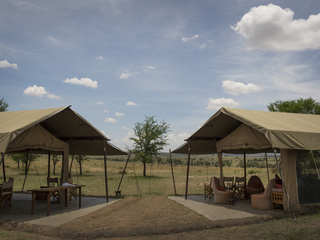 The main communal tents are simple but comfortable. 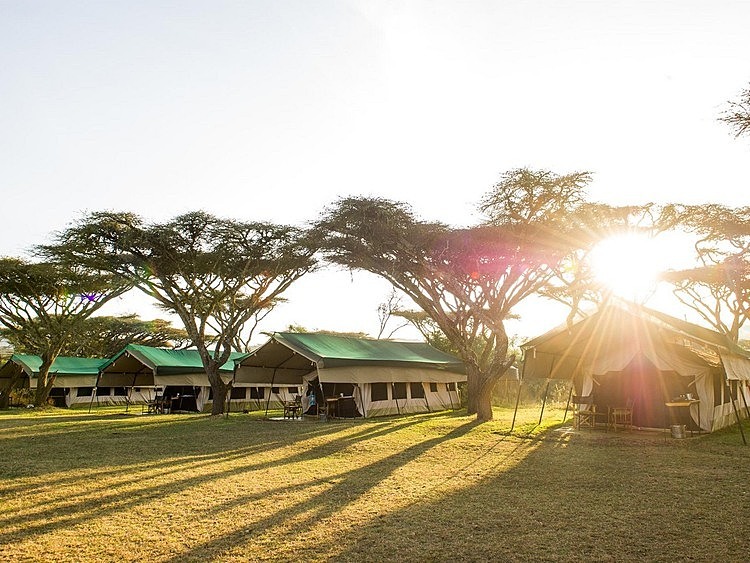 The bar, lounge and dining areas are positioned for optimum views across the wide open plains and sofas are dotted strategically around the site. 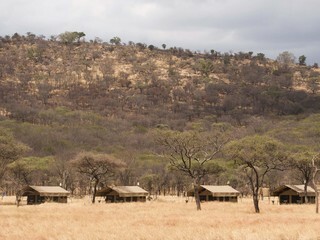 The food is really good and delicious bush picnics can be provided for days away. 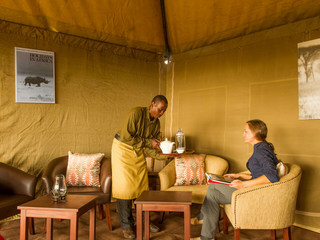 Private dining is also offered at selected spots around the camp. 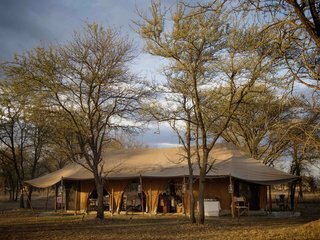 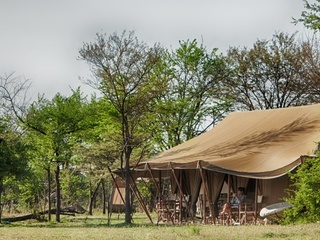 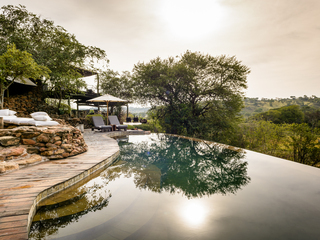 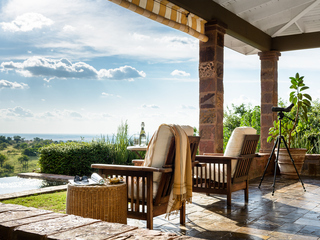 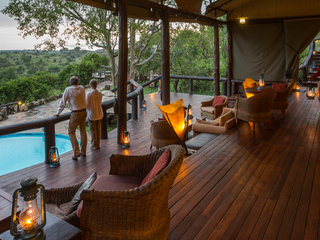 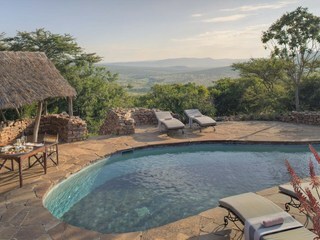 The camp belongs to the Sanctuary Retreats portfolio which places firm emphasis on professional guiding and the morning and afternoon game drives are phenomenal. 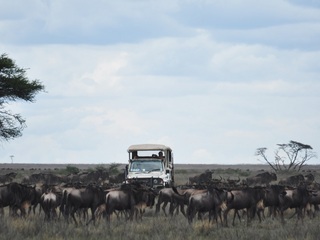 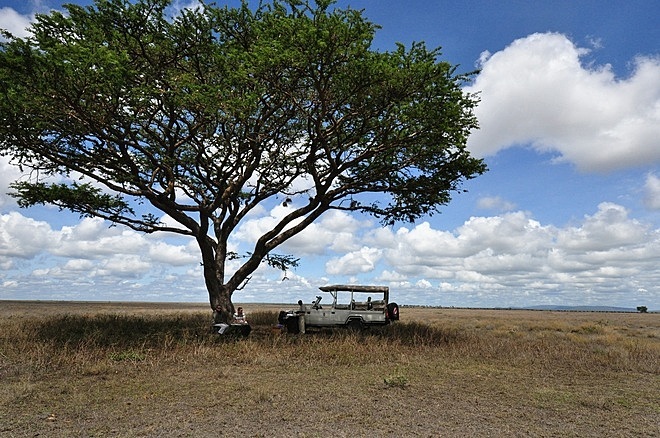 Note that there is potential for vehicle clustering in some parts of this busy National Park; however ultimately nothing can detract from the superb game-viewing opportunities. 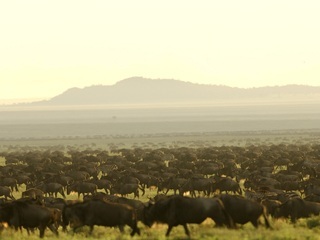 With its 500 bird species, the Serengeti is a real treat for ornithologists, so binoculars are a must! 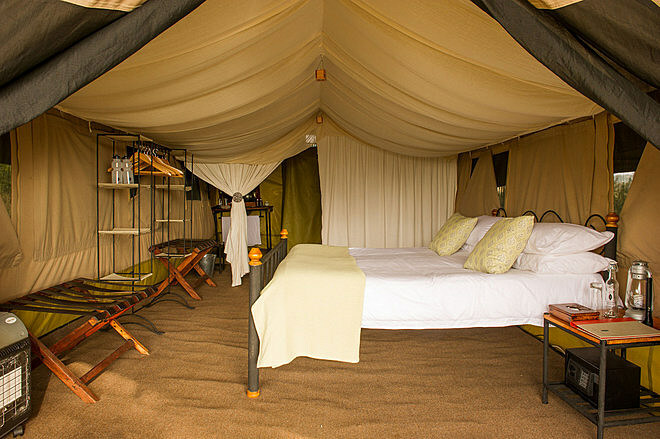 The accommodation comprises 10 luxury safari tents, each with an en-suite bathroom with indoor bucket shower, hairdryer and electric plug points. 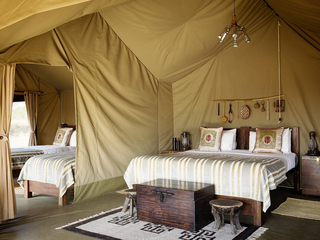 There is a personal attendant for each tent, on hand to provide hot water for the shower whenever required. 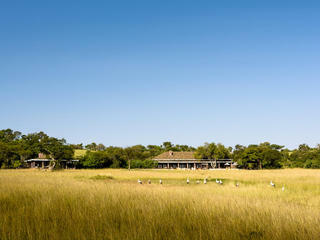 Children aged 6 and up are welcome and child rates apply. 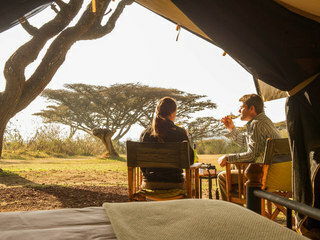 Note that children aged 15 and younger are required to share a tent with parents. 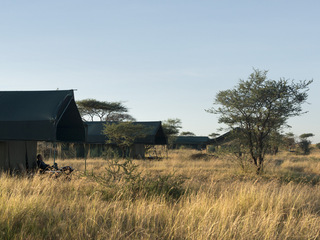 Animals are free to wander through camp and while it is unlikely that they would approach humans or tents, parents must keep a watchful eye on their children at all times. 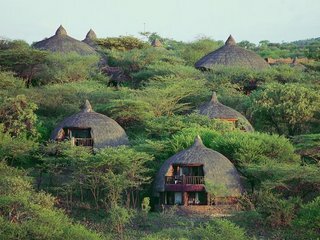 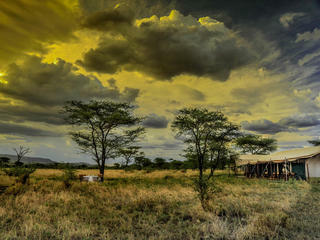 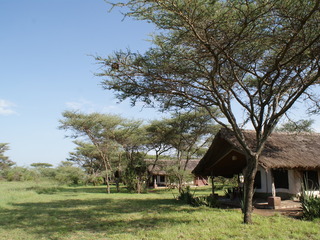 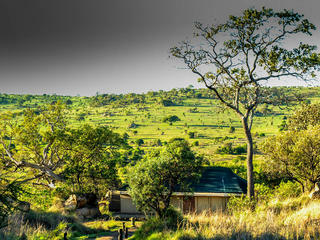 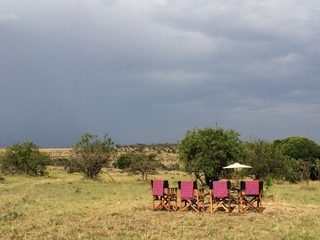 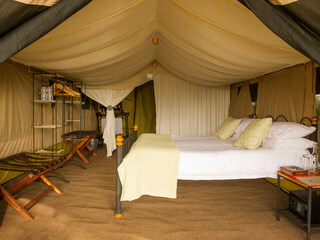 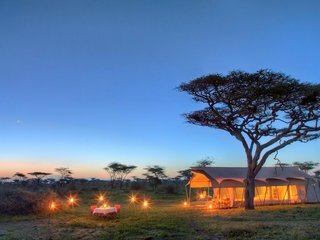 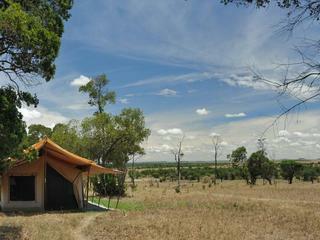 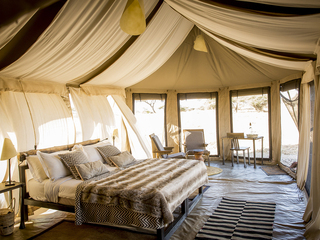 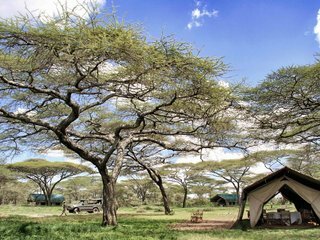 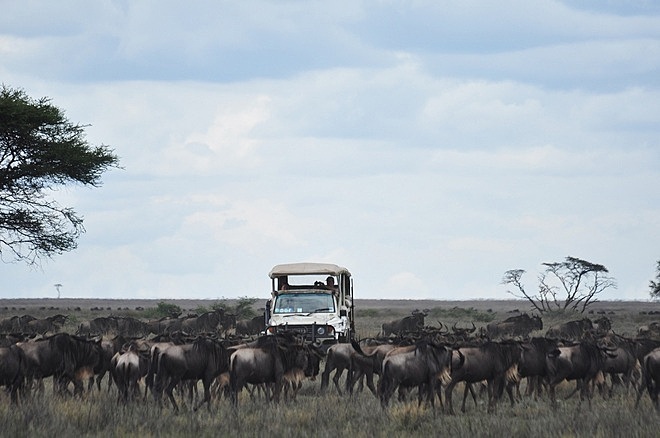 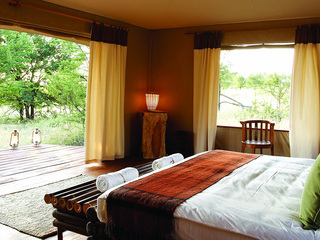 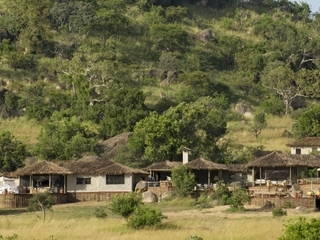 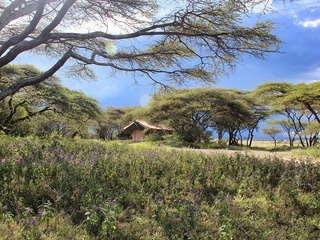 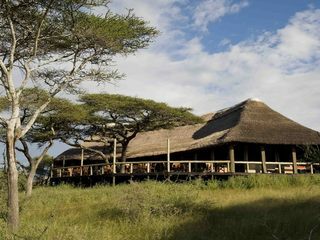 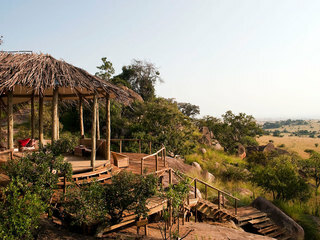 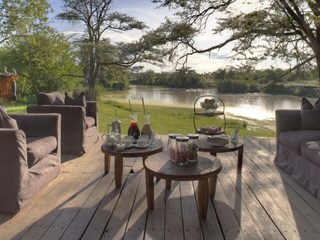 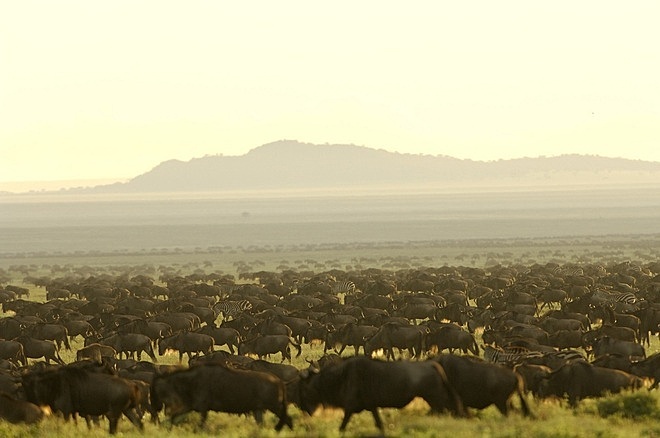 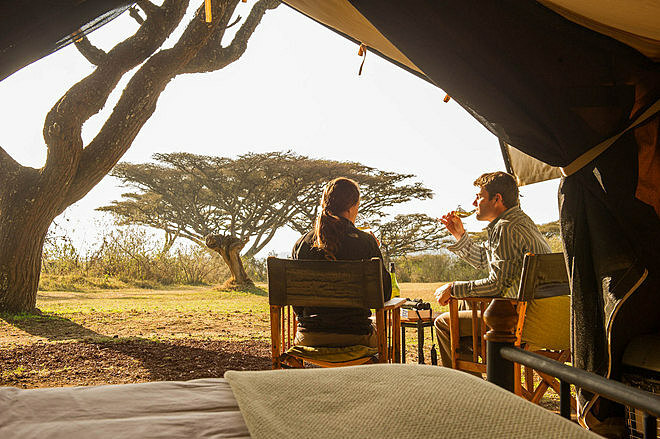 Sanctuary Serengeti Migration Camp is a classic and relaxed camp which moves between truly wild locations. 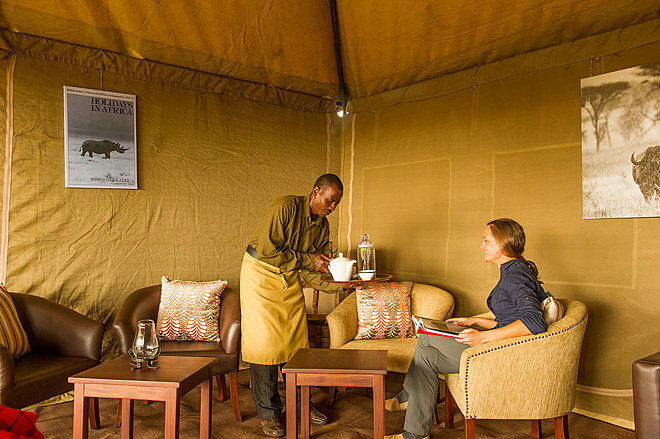 There is a real sense of being close to nature and the year-round migration viewing opportunities coupled with warm service and genuine comfort make for a wonderful stay.